SBI PO is one of the most sought-after Government Sector job these days. 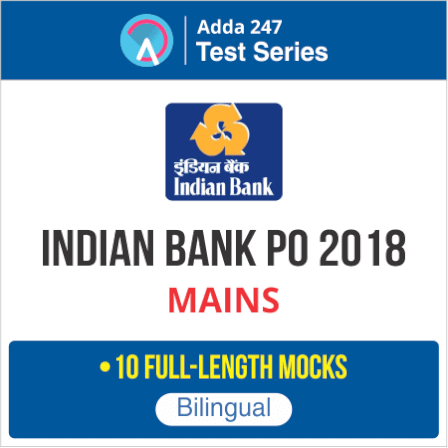 Personal Interview, GD and GE is the final round of SBI PO 2018 Recruitment. 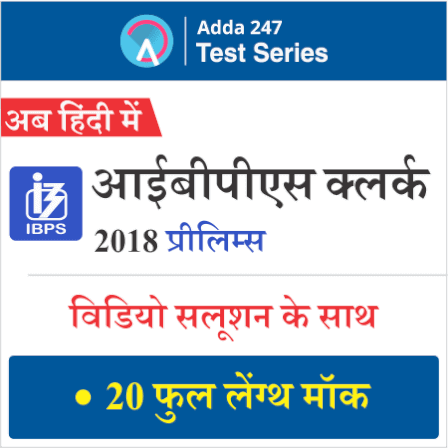 Interview experiences can help you get an insight of the difficulty level, environment, and types of questions that are asked in SBI PO 2018 Interview Round. 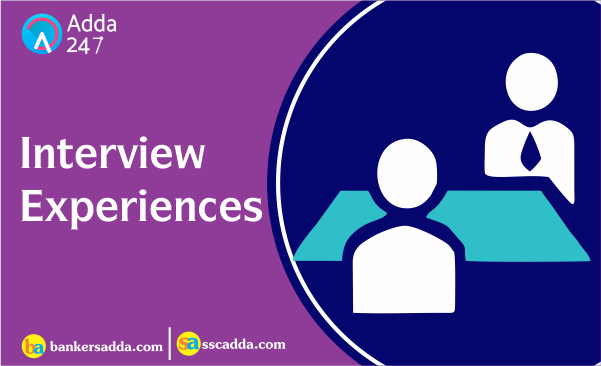 Here is the interview experience of Meghna Shrivastava. Hello friends, here I am done with the most awaited interview and GD session, the SBI PO. So here's my experience-(beware as this is somewhat lengthy). Overall experience for me was above average. Document verification started sharply at 12:30. So candidates of the upcoming days and shifts are required to be present at least 30 minutes before the mentioned time. It went smoothly. No any problem occurred. If there is any correction to be done in the bio data form and you have not done it till the date of the interview, then no need to worry as the members there are very cooperating and helpful. They would do the required corrections for you. At 2 p.m., we were called inside one of the halls for GD and GE. There were total 11 members in my panel. We all sat around a huge discussion table. After 15 minutes, 2 moderators came inside the hall. One was DGM and another was GM (both retired). They addressed us and started the session with a brief introduction of all of us. The GM at first place clarified that LANGUAGE IS NOT A BARRIER HERE. WE CAN DISCUSS IN EITHER HINDI OR ENGLISH OR HINGLISH. Also he made clear that NO MARKS WILL BE DEDUCTED FOR SPEAKING IN HINDI. One can speak in any language in which he is comfortable with. Then we were given our GD topic "WILL INDIA BECOME AN ECONOMIC SUPERPOWER IN THE NEXT 10 YEARS". We were given 5 minutes to jot down our points and 20 minutes for the discussion. The starting gone OK but after 5 minutes, 4-5 members became aggressive and violent. I contradicted only 2 times in the whole GD as I was not aware of the prominent facts and figures. Also we did not come to any conclusion finally and our time got exhausted. The next session was GE, and the topic was "YOU ARE PURCHASING A HOUSE. SO RATE THESE PARAMETERS FROM 1 to 8 THAT YOU WILL PRIORITIZE." We were given 15 minutes to prioritize and give a rank to each. (Also keeping in mind the reason behind it). Then the GE started. Here we needed to come to a team priority too. But as usual the group environment became unpleasant and no one agreed to a definite consensus. All were having their different priorities. In this way GD/GE session concluded and it was quite fun. (Although I was not satisfied with my performance in the GD, GE was good.) After 1 hour, INTERVIEW began. I was the first to go from my Panel. There were 5 members (A pleasant looking lady, another was main amongst them who had my bio data form, 2 almost silent killers who were very good at contradicting and cross questioning and one other who was overall average) I had to introduce myself first. Me): Sir banking sector is the base of an economy. There are lot more reasons to be in banking sector. It provides ample growth and opportunities to an individual. It provides better job security, name and fame in the society. One can become an MD/chairman from the PO. I cited some of the examples like Arundhati bhattacharya, Anshula kant, Rajnish Kumar). M1 (cross-questioning): There are lot more people, why not everyone becomes a CHAIRMAN or MD? Why only Arundhati Bhattacharya acheived that peak among her colleagues? Me): As every individual is different, so his/her calibre and potential. It the capacity and potential that leads one to a peak. M2): How do you prepare General Awareness? Me): referring to various sites and newspapers. M2): Tell me something big that was in news 4 days ago. Me): I told him about the merger of BOB with Dena bank and Vijya Bank. And one more news that Aadhar is not mandatory now for bank accounts. M2): (contradicting)- that Aadhar news is not that old. It was in today's newspaper. M3): Tell me some world class currencies. Me): (I wondered what he was reffering to) but I replied USD, POUND, Euro (he denied euro), Chinese Renminbi. Lady): she asked me various questions related to my B.tech stream that I answered well and she was convinced too. M3): did some cross questioning on my core subjects. M4): tell me something about "beti bachao beti padhao". Me): I did not recall the main points so just told him that it was started by our PM and is a scheme for the welfare and education of the girl child. (Too dumb of me). M1): Have you ever visited a bank branch? Me): yes sir. SBI and PNB. M1): which was better and was good at handling and convincing the customers. Describe the difference between their environment. Me): (it was so typical for me to describe this) yet I described it in my own way and points. They were not fully convinced. M2): What are the emerging challenges for the banking sector? M2): Have u heared about the Mehta committee? Me): yes sir. Sunil Mehta committee. M2): what is it for? Me) It is for curbing the bad loans ranging from 0 to 500 crores. M2): It is based on several postulates. Name them. Me): I did not recall them. So I said sorry to him. M4): Ever heard our MODI JI giving a speech? M4): Tell me one or two lines in his tone and body language how he addresses the audience. Me): I was completely unable to do that. I was feeling so stupid. The lady noticed my uneasiness. She smiled and told that it was fine and I can leave now. Overall experience was just alright. The day was very exhaustive. They are providing every candidate a pack of snacks (consisting samosa, ketchup, pakodi, mayonnaise sandwich and a rasgulla) So this was very good of SBI still not enough for those 5-6 hectic hours. So all of you are required to take some dry snack with u for munching in free time. All the Very Best Meghna! !